Are you fond of pizza? Well, everyone is fond of pizza, isn’t it? This is the food which is loved by all and the sudden cravings this gives you is totally uncontrollable. That is why it is sometimes a little annoying if you have to dress up and walk down to a pizza place if you have a craving for pizza. But not anymore. Now you can also get your favorite pizza delivered to your doorstep. Out of the many Italian restaurants offering pizza delivery, only a handful of them retains the original Italian flavor. And we, at Pizza Machine, are one among them. We have more than 25 years of experience in this field and have been delivering the original taste of Italian pizzas door to door for many people. We are known for our great taste, amazing variety, and speedy service. Right from the Classic Pizza to the special BBQ Chicken, 5 Meats, Hawaiian, or the Chicken Parm and Pesto Pizza, there are several options to choose from. So, if you are located in areas like Cooper City, Hollywood FL, Miramar, Pembroke Pines, or Weston, we can serve you the pizzas you will never be able to forget. 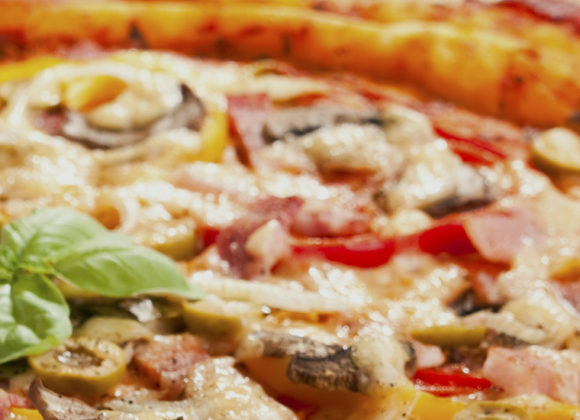 Here, we have put together a few essential things to check about a pizza delivery service. Take a look. Whether you are ordering the pizza home or are having it in the restaurant, the flavor of the pizza should be out of this world. Look for a company which offers the authentic Italian flavors which makes the pizza what it is. The next thing that you should check is the staff delivering the pizza. They should be professional, dedicated, and punctual. They should make sure the pizza is delivered to you on time with a smile. So, if you think we can be the best delivery service to meet your pizza cravings, get in touch with us today.